Mood boarding can be tough, but is a great excerise to help generate a new look and feel for your brand. We've generated an infographic to that makes creating a mood board fun and easy in four simple steps. Below we've written out a step by step guide to creating a mood board. You do not need to be a typographic guru to know what fonts look good together and what ones don't. Focus on personality and legibility. The first font you choose should be something that you would want to use for headers on your print and web materials (show something with some ‘character/ personality’). The second font you choose should be something that is easier to read and will work well as body text across your print and web materials. Choosing a font family that is flexible and has thin/narrow options, bold, extended and black will get you the furthest. 2-3 colors is fine, you do not need a huge assortment to feel visually cohesive— less is more. Overall, it is good to pick 1-2 brighter colors to use for accents and then think about something additional that is more neutral. Also consider using lighter and darker tones of the same color (hue) you are already using...lightening up (adding white) to your header color and then using it for a sub-header is a nice way to have something feel cohesive without needing to choose an additional color— make sure everything you choose goes with your logo as well. Show Visually: ie. flat, smooth, clean, etc. Or maybe you want a little more of a grunge feel, or something else that has a tactile or 3-D quality to it. Choose 1-3 main photos and/or illustrations and another 4-7 images that you can use interchangeably across all of your materials. Make sure the images you choose (as a collection) show the core values of your organization, campaign, project or idea. Rootid is thrilled to announce our renewed partnership with Full Circle Fund in 2019! Since 2016, the partnership between Full Circle Fund and Rootid has focused on accelerating nonprofit impact to make the Bay Area a more diverse, equitable and economically robust place for all to live and work. In addition to Rootid’s ongoing membership and sponsorship of Full Circle Fund, our organizations have aligned around our belief that education plays a critical role in the strength and growth of nonprofits. This vision has been brought to life by our work together growing the the impact of Rootid’s brandUP workshop—a free two-day communications bootcamp for nonprofits. BrandUP was started by Rootid in 2014 as a way to give back to the nonprofit community and help nonprofits at a critical moment in their growth. Through an advisory panel of nonprofit leaders, Rootid selected one nonprofit each year to provide pro bono communications strategy services that helps them overcome their biggest communications challenges. The concept has continued to grow, and beginning in 2018, with the partnership of Full Circle Fund, brandUP has reached new heights. Last year, Rootid and Full Circle Fund teamed up to hold the largest brandUP yet, including the participation of 15 nonprofits and over 60 skilled volunteers in one room for the two-day communications bootcamp. Unlike most conferences and workshops, brandUP is information packed and hands-on; organizations walk away with actionable strategies they can implement right after the event. This year, we’re taking things even further! Instead of just one event, Rootid is co-designing a more cohesive capacity building workshop series for nonprofits in partnership with Full Circle Fund. For those organizations that are not able to attend these events in-person, online opportunities are available that will include all workshop materials, resources and tools after the live events. Nonprofits that need extra support can also reach out to our team for help in completing the work. But, don’t miss out on the live events. The events provide more than just structured learning opportunities. They also facilitate great working partnerships between nonprofits, skilled volunteers and industry thought leaders. You won’t want to miss it! Nonprofits interested in attending the workshop series, and individuals interested in volunteering as an adviser at one of the Capacity Building Workshops should attend the Changemaker Happy Hour on February 28th to learn more about how to get engaged. Or, sign-up to stay up-to-date by email. Rootid will continue to keep you informed. May 7th, 2019 - Theory of Change Workshop, facilitated by Guidelight Strategies, RSVP Today! All of the workshops are open to nonprofits interested in learning. Unfortunately, due to limited space and volunteer resources, nonprofits must submit an application to attend brandUP. Nonprofits that are not invited to attend brandUP in person will have access to a live webinar series that covers the same materials as the live event. Your team will also have access to the learning materials covered during the 2-day workshop. Nonprofits can apply for brandUP directly on Rootid’s website! The application process includes just 3 simple questions for us to get to know your organization and your goals. If you want to invite your favorite nonprofit to apply, you can do that on our website as well. Please note that when you invite a nonprofit to apply, Rootid will reach out to a point of contact at that organization to confirm they are interested. Although we’d like all nonprofits to apply, historically, not all invited nonprofits follow through with an application. Your best option as a supporter is to advocate to the nonprofit contact the value of this work! Finalists will be asked to hop on a 30-minute phone call with us to answer a few additional questions. Read our interview with 2018 brandUP attendee Frailty Myths Co-Founder, Erinn Carter. Rootid Co-founder, Valerie, had been a Full Circle Fund member for 3 years, when Full Circle Fund approached Rootid to help with their communications strategy. 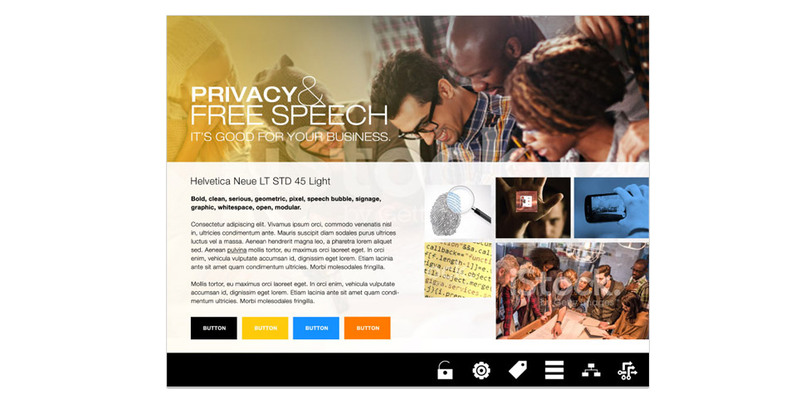 Their goal was to expand their membership and rebrand the organization to position it in the marketplace as a convener and connector (learn about the project here). After a short period working together, it quickly became clear that the two organizations were kindred spirits and had aligned values that could lead to much larger impact. Before the conversations started in 2016, Rootid and Full Circle Fund had been seeing similar patterns: a growing number of nonprofits that needed support with communications strategy, but a lack of education opportunities that were available. Since 2014, Rootid had been holding the brandUP event - providing pro bono communications services to small and growing nonprofits. But, Rootid was only able to serve one nonprofit at a time. In 2016, Rootid received over 80 applications to participate. The need was great, but bandwidth was an issue. At the same time, Full Circle Fund was looking for ways to provide more flexible and meaningful engagements to members. They also saw the same pattern of communications needs across all the organizations with whom they worked, and the lack of available resources. They provided Full Circle Fund members meaningful and flexible engagements with nonprofits. They served more nonprofits and provided access to Full Circle Fund’s amazing membership pool. They provided nonprofits an opportunity to work with Full Circle Fund outside of the normal grant cycle. 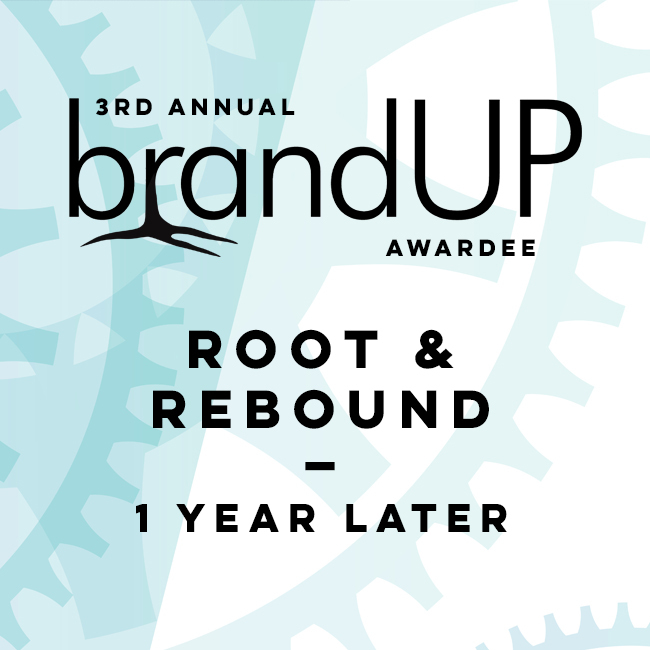 Read about our project with 2015 BrandUP Awardee, Root & Rebound. In 2018, the first brandUP collaboration was born. The 2-day communications bootcamp included 15 San Francisco Bay Area nonprofits and over 60 skilled volunteers. Over the two days, Rootid facilitated four, 3-hour long communications focused workshops covering nonprofit logic models, target audience and persona building, messaging, and campaign development. Nonprofits were partnered with teams of 4-6 skilled volunteers that guided them through the brandUP framework—a series that developed a comprehensive communications plan that organizations could implement soon after the event was completed. In addition to the work accomplished during the event, nonprofits commented that one of the most valuable aspects of the event was the ability to build a stronger network of nonprofit professionals and leverage their relationships with the skilled volunteers to help them further their mission. Understanding your target audience is critical to building effective fundraising and marketing campaigns. But, it’s hard to know where to begin with the research process when building nonprofit personas. Stakeholder interviews and donor surveys can help a lot in developing your nonprofit’s personas. However, sometimes there are still gaps. That's where data from Google Analytics and Facebook play an important role. In addition to filling in the gaps, data can also confirm findings from other research methods. You may even be surprised by some of the trends and behaviors that pop-up in your data. If you’re only looking at pageviews, traffic growth, and Facebook Page Likes, you’re missing the full story. We've all been there... looking at Google Analytics and Facebook reports can be overwhelming. So much data! How do you know what matters? This guide is here to help you get started sorting through what matters and how to use the data effectively. By setting up just a few simple reports we can dig deep into data that will help you learn more about your donors, volunteers, members and other target audiences, so that your communications efforts can be more effective. Google Analytics segments are a way to look at discrete user groups based on demographics, type of device, location, behavior and a lot more. Take a look at this example of our client’s data. This data shows that over 865 conversions took place on their site from traffic that originated on Facebook. In comparison, traffic that originated on Twitter converted just 12 times! Clearly, their ideal audience is spending time on Facebook, not Twitter. This is critical information when making campaign decisions, right? How do you use segments? At the top of almost every report, you’ll see an area where you can add segments. Choose the ones you want to compare, then click apply. Segments may be one of the most important features that you can use when doing research. It's important to realize that this process is about looking for trends and anomalies. Not all reports are going to give you a nugget of information. But, keep digging and you can find incredible insights. Take some time to explore the different segments that are available. You can also make custom segments. When researching your target users, you should be looking for users that have completed a transaction or taken an action on your website to engage with you. This could be a donation, volunteer sign-up, newsletter sign-up, or any other action you want users to take on your site. These are the people you want to target, right? In Google Analytics these are referred to as "conversions." If you don’t have conversion goals setup on your website already, do this first. Start by using your nonprofit logic model to decide what actions on your website contribute to your business goals. Then setup a goal and goal value associated with that conversion. When performing research, we use segment to learn trends and behaviors that are specific to your audience. What external marketing channels do they come from? How often do they come back to the website? What pages do they land on? What topics are they interested in? What actions do they take before they convert? Now that you understand how to use segments, you can segment to learn a lot about your target audience. Demographics are critical to getting your messaging and campaigns strategy correctly. Compare the campaign strategy for communicating with a 60+ year old versus a 30 year old. Different channels. Different messages. Different asks. Demographic information lays the bedrock for much of what we do in communications. You may already have a pretty good grasp on your donor and volunteer demographics based on other research that you’ve done. But are you getting the full picture? How do you know your intuition is accurate? Facebook Insights is a little-known tool in Facebook that will provide all kinds of amazing information about people that like your Facebook page or have interests in your mission. In addition to demographic information like age, marital status, and education, Facebook Audience Insights will tell you about their additional interests so you can start to put together a full picture of your personas. It can also help you identify potential strategic partnerships. Go to your Facebook Ads Manager. You can find the Audience Insights in the main menu under Plan. Once on the page, add your page name into field “People Connected to” field. This will bring up your audience information. In addition to age, gender, marital status and education level, you can find out location information and additional page likes. We like to focus on additional Page Likes, as this can tell you a lot of additional information about their interests. Google Analytics has also developed an interface for analyzing demographic information of users visiting your website. Some information, like location, has always been available. However, more recently, Google has given us information on things like age, gender and interests. Google does not have access to this data on all users, so it is not nearly as accurate as Facebook. Regardless, Google Analytics can be a nice compliment to that information. Find this information under Audiences -> Overview. How Should You Use Google Analytics Demographic Data? Demographics are one of the foundations for understanding your users. If you don’t understand your nonprofit “customer” (meaning donor, members, clients, etc.) then your marketing campaigns aren’t going to be successful. Demographic data supplements stakeholder survey and interview information. If you aren’t doing regular surveys or stakeholder interviews, you need to start. Demographic data will help you create your almighty donor and client personas that underpin your marketing efforts. Location data focuses your campaign approach. One of the advantages of digital marketing is that you can fish in a targeted area of the ocean, rather than casting a wide net to see where you might find fish. Location data allows you to identify new locations where you might expand your marketing efforts and find new constituents. It also allows you to see how campaigns in particular locations might be lifting your overall performance (think radio PSA, billboard, newspaper ad or article). Don't forget that all of this is in context of your work. Perhaps you're wondering if your target audience is urban or rural. Perhaps you're interested in knowing what regions you need to target for an acquisition campaign. What are some creative ways you can use this data in your marketing efforts? Google Analytics events are ways to track behavior on your site that may not be business critical, but do show user engagement or behavior trends. In particular, it can help you understand how users are engaging with content topics and how users are using your user interface. Page Scroll Tracking. Using a tool like Google Tag Manager you can setup events to fire based on how far down the page users scroll. This can help you learn more about how users are navigating your landing page, or you can use this to find out which blog posts are getting the most engagement. This could help you adjust content strategy and the topics of your content. Video Watching. Events can also be fired when users what a video. This would give you insights into which videos are most popular, and the topics that resonate most with your users. Track UI calls to action. For example, let’s say that you have a banner image on your homepage with a button that has a main call to action. You can track the number of times that users click on that button versus using the main navigation to get to a location on your site. You could do the same thing for sidebar call to action buttons, etc. Again, these are not main conversions, but it would inform you how users are navigating your site. How is traffic coming to your website? More importantly, which traffic is most engaged and converting on your website? You can see an overview of traffic by channel under Acquisition -> Overview in Google Analytics. Instead of using the overview report, I prefer to use segments and compare behaviors. Which channels drive the most conversions? Which channels drive the most engagement with content? Does a particular channel drive most of the conversions for one goal? Meaning do volunteer sign-ups come from Twitter, but donations come from Facebook? If so, this can lead to two distinct personas. Are there clear demographic patterns based on channel? When you connect Search Console and your Google Grants account, Google Analytics will provide really powerful information about what users were searching before they landed on your site. Search queries can provide a really clear view into a user’s motivations and concerns. If you can connect traffic to search queries and behaviors, then this can help you model your target audience's motivations and concerns. If you have connected these services to your Google Analytics account, go to Acquisition -> Search Console -> Queries to see organic search queries. You’re now ready to build your persona! Create your personas with a group of colleagues. Each individual in your organization has a unique experience with your personas, therefore a unique perspective. Bring those experiences together to build a 360 degree view of who your persona is. Spend a minimum of 20-30 minutes per persona. It’s worth taking time to get the details right. Don’t assume anything, and make sure your assumptions are backed up by data and survey results. Think outside the box. Don’t just hone in on donors. Think about strategic partners, press, clients, board members and others. I hear this all the time from our nonprofit clients. And, honestly, we love data too! The real question: "How is your team making marketing and fundraising decisions based data you collect?" Furthermore, are those data-based decisions positively impacting your key business goals? How do you know? Or, like 58% of Executives (according a survey by PwC research), are we making decisions based on our previous experiences and "gut" feelings. What does it take to really make to be a data-driven marketing team? In this post, I want to provide a starting point for any organization that is looking to do a better job making data-driven marketing and fundraising decisions. We will provide tips on how to better collect your data from your website, email marketing and social media marketing channels. Finally, we will look at how to make it digestible and actionable. I know, that is not the answer you were looking for. But, it’s true. Every organization has different inputs, outputs and outcomes they're looking for. If you haven't defined this at your organization, it's worth doing a logic model exercise. It will clarify your marketing and fundraising a lot! If you do have a firm grasp of your business logic model, then the most important data to track are your KPI (Key Performance Indicators). Or, simply put, the actions that you want users to take. When you are thinking through your communications strategy, think who are your audiences, and what do I want them to do. If you don't know your audiences, try using surveying and stakeholder interviews to learn more about their motivations, interests and how to message to them. So, why do you want to track KPI’s? First, these are actions on the site that provide value to your organization (more to come on this). They are actually transactions with some monetary value, or they may provide engagement value now that leads to monetary value later. Meaning, they indicate a how users are engaging with your organization. Secondly, goals should be the main data point that drives your marketing strategy decisions. Goals allow you to filter the mountains of data that Google Analytics provides in order to show you information about those users that are performing the actions that provide value. Interestingly, you can also look at the behaviors of user that do NOT convert, and try and figure out how to better make them convert. Finding trends in this data can help you make larger decisions about how to improve your website, messaging, campaigns and much more. You can find out things like, where users originated from, what channels are most effective in producing goals completions, etc. When you are setting up your Google Analytics Goals, it’s really important to add a value in your Goal Details when setting up your goals. Volunteers: If your average volunteer shift is 4 hours, and they perform a service or task that a paid employee would have to do if the volunteer was not there, that’s value. You could say then that the task volunteers perform is worth $10/hr (I made up this value, feel free to assign your own). Therefore, each volunteer sign-up is worth $40. Newsletter Sign-ups: If on average you generate $20 per email that is on your newsletter list each year (Formula: Total Donation Amount from Newsletter List / Number of Emails on Your List = Average Value per Email), then you can easily say that each email sign-up is worth $X per year to your organization. Membership Applications: if your membership dues are $50 per year, then each membership sign-up is worth $50. First, goal values will help your team make strategic decisions about where to invest staff time and resources. Which efforts are truly generating the most value for your organization. Second, you can also use this data to figure out which marketing channels are producing the most value to your organization. We will talk more about this in the UTM tags section below. Finally, if your organization is doing any paid advertising, you can use these values to understand ROI (return on investment) and ROAS (return on ad spend). There are some transactions that have immediate value. For most organizations, generating revenue through donations, memberships, tuition or some other means is a critical part of their business model. Google eCommerce settings was built for online retailers, but it is a critical piece of data for nonprofits as well. In a nutshell, eCommerce settings will track the amount of money that spent on your website on a transaction by transaction basis. The good news: Google is just tracking the amount and product of each transaction. There is no personal information that gets logged with the transaction data. For nonprofits, it will provide you powerful insights into which marketing activities are generating the most money online. If you use a 3rd party system (like Classy, Action Network, etc.) to process your online payments, there may be a chance that it provides a simple plugin that dynamically sends this transaction data directly to your Google Analytics account. That said, it is worth investing a little bit of money in your analytics to get a TON of powerful data. Don’t forget, goals are essential to making informed data-driven decisions about how much value is being generated for your organization, and what channels are driving that. Wouldn’t it be great if you could have a granular understanding of which campaigns, marketing channels or even individual marketing pieces (think blog posts, emails, social posts) are driving them most value for your organization? What if we could even drill all the way down to which specific link within an email campaign is working best? You can with Google Analytics UTM (Urchin Tracking Module) tagging! UTM tags are built into Google Analytics, and there’s no setup required. By simply adding some data to the end of a link, you can send a bunch of data to your Google Analytics account each time a user clicks on that link. So, what are UTM tags? You likely have seen them before. Maybe without knowing it. The beauty of UTM tags is that they create “layers” of data that allow you to drill down in order to find where you are generating the most value for your organization. Campaign Content – If you’re A/B testing ads, then this is a useful metric that passes details about your ad. You can also use it to differentiate links that point to the same URL. For instance, if you have a banner at the top of an email and a button at the bottom of the email, this can be used to tell you which link the user is clicking more frequently. Campaign Term – In most cases, you will not need to use this. This is mainly used for tracking your keywords during a paid AdWords campaign. If you’re not using paid CPC advertising. Note that these are only suggested uses. Each organization is going to find a system that works best for them. So, it is important for your team to talk through it and setup rules together. So, what’s the best way to build these links? Fortunately, there are a few killer tools that can help. Google URL builder is really easy to use. Just fill in the appropriate fields, and Google will spit out the full link at the bottom. It also will shorten the link for you so you use them in your posts without seeing the ugly tags. Conveniently, Google usually will save the last link that you entered into their tool. You can also use the Effin amazing UTM Builder Chrome extension to create UTM tagged links. It auto-populates the URL and saves your most recently used values as presets. It also has a built in bit.ly URL shortener that is a nice add-on. Plus, it’s right in your browser, so you don’t have to bother with going to a new web page to use it. Using this awesome free Google Doc from Rafflecopter to generate UTM tags is our favorite way to manage UTM tags. First, it will help you manage your links when you have a team of marketers linking to your website across the web. This tool will help ensure that your team is using a consistent naming convention. Second, it helps you avoid spelling mistakes, which can really screw up your data in Google Analytics. Typos can make data analysis harder (more about this in the Common Mistakes section below). Last, if you are like most nonprofit marketing teams, you may have several different campaigns going on at the same time. By using this spreadsheet, you will be able to refer back to a list of campaigns that you may have at any given time. Keeping track of the campaigns will help you remember which campaign is which. 1. Create a naming convention for your UTMs. Pro Tip: Using “+” symbol will add a space to your data, which makes them easier to read in Google Analytics. We generally recommend not using “-” or “_” in the names if you can avoid it. 2. Always use lowercase with your tags. Google Analytics will respect the capitalization in your data. So, when you use capitals sometimes and not others, your data that was meant to represent one utm_source will actually be on two different lines. Try to make your data flow like you would read a sentence. Ultimately, there is no right system for every organization. You will need to work with your team to generate a system that works for everyone. Write it down, and stick to it! You want your UTM links to span multiple marketing channels. That’s one of the purposes of UTM - track how each channel contributes to a specific overarching campaign. If you tag your links correctly, here’s how your data should look. If you have multiple administrators creating tags, or you are building many tags each day, it’s really easy to make spelling mistakes using something like the Google URL builder. Especially when you have longer campaign names, it can become very easy to mistype something. We recommend using the free Rafflecopter Google Doc to build your links. That way, you are consistent with your campaign naming. This will guarantee that your Google Analytics data remains clean and useful. 3. Using UTM tags to track internal links - Don’t do it! Unfortunately, sometimes we see clients add tags to their main menu, or buttons on their homepage. They set values like utm_medium=mydomain.com and utm_source=homepage+banner. The bad news is that if a user clicks on a link on your Twitter account that has UTM tags, then clicks on the button on your homepage that have different UTM tags, the original Twitter UTM tags get overwritten. In your Google Analytics report, your Twitter post would no longer get credit for the user’s actions. Instead, you would simply see that the user came from your homepage banner. The original referrer will be overwritten and your data will be messed up. You should never use campaign tagging for internal links. If you want to track how users are interacting with your website, use a tool like HotJar, or another heatmap service. Once your UTM tagging is in place, it provides you a 360 view of how your marketing channels are contributing to website conversions. On almost all of the reports within Google Analytics, you can filter you view to show any of the UTM data layers (campaign, medium, source) to parse your data. By using these data layers, your team should be able to better understand which marketing efforts were most successful, find trends and then use that data to continuously improve your campaigns. By this point, the important tracking pieces are in place. Now, we need to make sense of the data we are collecting. Making your data digestible is critical to making data-driven decisions. We have seen a lot of different ways to manage data reporting from our clients. However, none of these other options include the flexibility, professional visuals and dynamic nature of Google Data Studio. Get started with your reporting using our Nonprofit Google Data Studio template. Once you've downloaded the template, follow these instructions to get your custom dashboard setup. Each connector has a setup of metrics that you can add to your reports and display in a professionally designed way. Second, Google Data Studio provides a beautiful visual design suite that allows you to make your data really stand out. The drag and drop interface allows you to select from a number of different types of data displays like bar graphs, line graphs, data tables, pie charts, to name a few. You can also add design elements like colored backgrounds, custom graphics and dynamic link text if you want to refer to outside resources. Settings up the reports to use your brand colors, fonts and logo is really easy. If you don’t want to start from scratch, Google provides wide variety of starter templates that are easy to customize to your liking both visually and with your data. Last, sharing beautiful reports is extremely easy with your team, colleagues and board. One of the other great features, is that the data is dynamic. Users that are viewing the report can change date ranges, filter by data sources and much more. It makes the data a much more interactive experience. Not only does this make the data more interesting, but there is definitely a sense of professionalism and intrigue around the reports. Just think, you will never have your monthly analytics report thrown in the trash again! Now your ready to be a data-driven marketer. That’s a powerful feeling! To recap, remember that data will empower your team to be better decisions, but it needs to be measured in a smart way. These techniques are a starting point that will help you make better decisions in your marketing strategies. If you’re frustrated with trying to increase your donor base, strategic partnerships and membership, we have a proven tool that we use with our clients that can help. It’s called a nonprofit logic model. Building a nonprofit logic model will help your team target the outcomes that your mission needs to succeed (think donations, volunteers, etc.). It will also help you prioritize your work plan, and understand what you can say “no” to on a day-to-day basis. Logic models are commonly thought of as nonprofit operations tools, but that’s not all they should be used for. We’ll talk more about how logic models are foundational to a great communications strategy, help you generate more powerful messaging, and target the right audiences at the right time. In this post, we’ll take you step-by-step on how to create your nonprofit logic model, and provide you the tools we use to do this with our clients. What is a Nonprofit Fundraising Logic Model? At the simplest level, a logic model is a way to map out your organization’s inputs (we’re going to call them activities), outputs and outcomes that are associated with your business. Great! So what does that even mean? Simply put, think about what your organization needs to do its work. This could be money, volunteers, supplies, etc. These are inputs/activities. After you complete you work, you are left with outputs and outcomes. These are the results of your work. There is a really critical difference between these two, even though they sound similar. We’ll get into that later in this post. Before you go any further, copy our example Realtime Board nonprofit logic model template. Use this template to build your own nonprofit logic model as you go through this guide. For this exercise, I created a fictitious organization that we can use as an example. I’m calling my fictious organization “Clean-up And Restoration Team” - or CART for short. EXAMPLE ORGANIZATION: CART is a volunteer-driven environmental clean-up and restoration organization that uses volunteer labor to clean-up locations that have been left polluted by industrial companies. With volunteer crews they clean-up these locations and restore them using native species of plants. Inputs or activities are the things that we do everyday to make our mission run. Volunteer Recruitment - The organization needs volunteer to participate in the clean-up and restoration process. Volunteer Crew Leader Training - CART can’t just rely on a group of volunteers to run themselves. Crew leaders are vital to creating a safe, enjoyable and productive atmosphere for volunteers. Volunteer-driven Plant Nursery for Native Plant Species - CART has elected to raise their own native plant species so they can supply their teams with the plants that they need. Realize that we’ve drastically simplified this for the sake of this post. Every organization is different, so if you have more than this, that’s normal. Before we talk about outputs, it’s important to understand how outputs are different from outcomes. This can be a bit confusing, so it’s worth taking time to clarify. Put simply, outputs tell the story of what your organization produces. Outputs do not address the value or impact of your services. On the other hand, an outcome is the level of performance or achievement that occurred because of the activity or services your organization provided. Output = The volunteer leader training program generated 5 new volunteer crew leads. Outcome = CART is expanding its clean-up program to 2 new regions, doubling the number of acres that are being cleaned-up and restored. Outcomes communicate the impact of your organization and how it impacts your clients or those you serve. Outputs are direct results of your activities. Site Scouting Outputs Clean-up Sites - CART has a pipeline of abandoned industrial sites that it can work on with volunteer leaders. Crew Leader Training outputs Volunteer Crew Leaders - The CART crew leader training program will directly output competent crew leaders that keep volunteers motivated, empowered and efficient at their work. Is this making sense? From this you can start to see how outputs are directly related to activities. One thing that’s important to note about outcomes, is that often, multiple outputs can lead to a single outcome. There doesn’t have to be a one-to-one connection. Restored native habitat and ecosystems leads to clean drinking water sources for nearby population centers. Community members feel empowered to take a leading role in cleaning up and advocating for their local ecosystems. This is a really important distinction. First, logic model outcomes are closely related to generating marketing messaging, which produces better marketing campaigns. We’ll dig into this shortly, but we’re starting to get closer to connecting the model with our marketing. Secondly, logic model outcomes should always, always, always be measured so you can use those measurements in your marketing messaging. Here’s an example of using outcomes to create better marketing messaging. One of the things that makes Rootid’s logic model unique is the focus on strategies. This is important because it takes the logic model, which is often thought to be a nonprofit operations tool, and makes it a powerful communications tool. Now that we know our inputs/activities, we can build communications strategies around them, and most importantly prioritize them. When building strategies, it’s important to think about the audiences that you’re talking to and group them into nonprofit personas based upon their motivations. Who are they? What messages work for them? Where can we find them? If you don’t know immediately, consider using stakeholder interviews or surveys to better define your audiences. For example, the way CART recruits volunteers may be very different than the way you scout and acquire clean-up sites. When acquiring clean-up sites, CART may be interfacing with local governments officials or industrial business leaders to get permission to clean-up the site. On the other hand, volunteer recruitment may target college kids at nearby schools. Not only are these very different audiences requiring very different messaging, but the way that you find and communicate with these audiences require very different communications strategies. Let’s continue with our audience assumptions for a second. What would be a strategy for volunteer recruitment, knowing that you’re main demographic is college kids? What about something like utilizing social media advertising targeting younger adults. So, a strategy may be digital advertising and online sign-ups. In contrast, let’s talk about the strategy for industrial site scouting. Local government officials would require a one-to-one outreach and presentation. This could be at a local town hall meeting, or concerted lobbying to individual members, or perhaps using your network to make connections with these leaders. You can see how these strategies differ drastically based on the activity, right? How does this model make us better at nonprofit communications? Remember, Outcomes help us formulate impact statements and messaging. Impact statements can help us communicate big ideas to our audiences. We can continue to build on those impact statements by building what we call our blue sky statement. The blue sky statement sets out the vision for the organization. If you’ve ever heard of Simon Sinek’s TedTalk, “The Power of Why” you know this. Answering “why” is actually one of the most important things that you can do as a nonprofit communications professional. If individuals can connect with why you exist as an organization, they are far more likely to get behind the “how you operate” part of the organization. Our blue sky statement is a critical part of our elevator pitch as an organization, and a key to connecting with our audiences. How Do Logic Models Help Prioritize Communications Work? I said at the beginning this model will allow you to prioritize your work, and stop running around with your hair on fire, right? Because we know the relationship between inputs and outcomes, we know what strategies and inputs are priority based on the organization's strategic goals. OK - there’s a lot going on there…. Imagine a situation where our fictitious organization, CART, has a goal to increase the number of acres cleaned up in 2 years. To do this, they need to double the number of clean-up sites in their pipeline. Now that we understand our organizational logic model, we know that we need to ramp up the outreach work with local government officials. We also know that we need to implement campaign strategies and generate communications tools that our site recruitment team can use during their big push to acquire more sites. We can do this with confidence based on our logic model. Making data-driven decisions with your communications strategies is a must! We saw earlier how measuring outcomes creates more effective marketing messaging. Knowing that, commiting to measuring outputs and outcomes is critical at an organizational level. Not only will they help in your marketing process, but they will also help generate better impact messaging. Describe the outcomes you want to achieve (why do you perform the process or service in the first place?). Turn the identified outcomes into a quantitative measure (i.e. % of clients demonstrating new behavior, % of clients coming back into treatment, etc.). Confirm that your desired outcomes are actually linked to your outputs or activities. In other words, ensure that it is reasonable to expect your desired outcomes to be achieved based on your activities. Implement these measures and track them over time. Demonstrate and increase your success because you have the data to confidently and appropriately communicate your impact and value. How does the logic model make us a better nonprofit communications professional? By now you should see how the logic model helps make you a better nonprofit communications professional. Prioritizing our marketing campaigns to generate the inputs inline with our organizational goals - we talked about prioritizing and focusing campaign based on the order of inputs you need to succeed. We also talked about focusing on specific tools and strategies based on the audiences we need to generate the inputs that we need. Outcomes generate better messaging - we talked about how outcomes should be measured to generate better messaging. We also talked about how outcomes focus on impact, and impact is going to be what gets audiences excited about supporting your work. Blue sky statements acquire & build a loyal supporters - we talked about how blue sky statements answer the question “why.” Why do you exist? Why should people care? Once an individual gets behind the vision, they can become a loyal advocate. Nominations and applications are now open for the 2018 brandUP, a free 2-day intensive marketing and communication workshop co-presented with Full Circle Fund. Last year's Awardee Root & Rebound has now had some time to reflect on the experience, so we sat down to chat with them to provide helpful tips to this year's participants. 1. What is Root & Rebound currently focused on as an organization? Founded in 2013, Root & Rebound (R&R) is a California-based reentry advocacy center that creates leading-edge solutions to one of the most pressing challenges of our time - mass incarceration - working to help people break out of poverty into freedom and economic opportunity, and alleviating the heavy personal and societal costs of our bloated and broken justice system. Leveraging lessons learned from our California long-term work & our growing national collaborations & projects, our core initiatives have grown over the last year to include expanding to 2 additional sites with California; deepening our direct services work, expanding our legal clinics & hotline services; running employment clinics & educating employers, pushing for occupational licensing reform, & building a statewide prison/jail based curriculum. Nationally, we are growing our footprint and initiatives, with 7 state-specific toolkits & beginning a national expansion strategy that will bring our model to key, high-need states in the coming years. 2. Through a communications lens, what have you been focused on over the last year and how is that supporting your overall organizational goals? R&R has invested heavily in our PR and Communications strategy on both national and community levels to raise awareness about second chance opportunities through partnership and coalition building, educating employers, policy makers and journalists, and engaging corporations like Facebook to support this work as we explore our model for scale. We are also in the process of building the first ever reentry legal wiki and sharing it across the country. 3. How did your experience with Rootid and our BrandUP Award inform your communications strategy? Our experience with Rootid allowed us to think critically and holistically about the ways in which we communicate with our key stakeholders - donors, partners, and people directly impacted by incarceration. It allowed us to strip back our assumptions and dive into the way these people live their lives and how we could engage with them on a journey of discovery about Root & Rebound. Now, we go much deeper and we have concrete engagement strategies for our key stakeholders whereas before we would keep a more broad and sporadic approach to our communications and PR and community connection. 4. Did anything change in your communications and processes from before to after your brandUP experience? Our communications strategy has definitely expanded to include larger views of our audience and the ways we can help them to understand and see the value our work. Additionally, having realized the importance and potential in our communications, we have now made it a priority to align both the programs and development team in our communications strategy. Now our communications strategies are wider-spanning and effective for both teams. 5. How have you integrated the work into your marketing materials and planning? Leveraged Rootid’s design support to streamline our programs materials with new hotline cards, updated program flyers, and the ongoing creation of partnerships packets. With the hotline cards, we can easily pass out digestible information to the people we serve, at clinics, trainings, etc. As we ramp up our direct services across the state, this level of synthesised information is more critical than ever. We are also re-creating the R&R website to more strongly reflect our growing programs and make sure that information is easy to read, digestible, and clear in how users can engage with our services. We have also heavily leveraged Rootid’s consulting advice to promote our paid services to partnerships across the Bay Area and have secured three new long term contracts to date. Committed to engaging more deeply with our existing individual donors and increasing our network even further, by creating a Circle of Friends to support R&R either through donations, leveraging their platform, or their skills. Over time, we hope to build a key initiative that draws people into the organization and creates long-term ambassadors for our work. More heavily focused on sharing our stories of success to our wider audience via newsletters and social media to show the work we are doing and the impact it is having. Finally, we have streamlined our communications strategy between the programs and the development team so there is a cohesive calendar and content strategy between them. We have also hired two Americorps VISTAs - one Development and Communications VISTA and one Community Partnerships VISTA to execute on this strategy and build our communications content. 6. Was there anything that was unexpected or surprised you that came out of the work we did together? I think it’s easy to come into a consulting project saying you have an urgent need for concrete materials and plans and you need your online website hits to increase by X%, but the biggest value add for us was the thought partnership and the focus on approach of listening, hearing, and sharing of experiences. Rootid showed us ways to go beyond a communications strategy, printed or web content, and instead get to the heart of our mission and impact which lies directly in human experiences of reentry and the daily barriers they face. By focusing squarely on elevating those experiences, we were able to come up with a thoughtful and strategic communications strategy that aligned with our mission and that brought the organization’s development and programs team together to streamline our work, elevate the voices of those we serve, and really demonstrate what really matters to the wider public - which is breaking down barriers to opportunity for all Americans with criminal records. 7. In what ways do you think we can use this process to help organizations like yours further their missions? I think the most valuable piece for our team was having strategic thought partners that could dig into our model and where we were and where we were trying to go and help figure out simple steps and best practices to achieving those goals. E.g. focus on your stakeholders journey before thinking about creating materials tailored to them. A helpful way to approach it might be to focus on some big questions upfront that might be even higher level than communications strategies necessarily and then spend time digging into ideas and resources on a macro level. A lot of Rootid’s value add can be the ability to see above the micro day-to-day of a nonprofit professional’s workload and allow them the space and support to engage critically and thoughtfully with the challenges they are facing and how they can get to the end result in new ways. 8. Since we are changing the format of BrandUP to now be a 2-day intensive covering the material we did but with 12 nonprofits, what advice would you give to this next co-hort so that they can be prepared for and get the most out of their experience? Ask as many questions as possible! Don’t be afraid to share the small and big questions and the real challenges, time and capacity constraints you face in communicating with your stakeholders. Chances are Rootid will be able to draw on experiences with other nonprofits that have wrestled with the same challenges and draw on their own expertise and experiences to bring solutions to life. Be ambitious! Talk about where you want to be as an organization and what you’re trying to achieve in the next 5 -10 years, every step you take now with your communications is a step further to making that impact a reality.